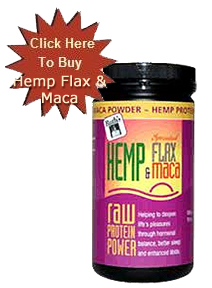 * Hemp Protein with Sprouted Flax and Maca includes whole, natural ingredients that deliver enormous health benefits but are not flavorful on their own accord. 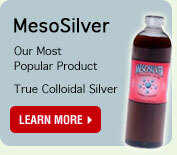 As this product does not contain any sugar or added sweeteners it needs to be supplemented by adding fruit juice or other natural flavors to make a healthy, great-tasting smoothie. A small root vegetable that makes its home in the high altitudes of the Andes Mountains, Maca has long been recognized as a powerful food with health benefits that range from improved mental focus to weight control. In fact, maca is often referred to as a superfood – used by Peruvians for centuries as a natural tool to help them restore hormonal balance and subsequently alleviate related conditions, bolster sexual health, support fertility, and even minimize the symptoms related to menopause. Maca’s power stems from its rich ingredients including zinc, phytosterols, and iodine and it is still used today by those who want to achieve everything from improved energy to elevated mental focus. 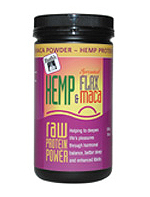 Hemp Protein with Sprouted Flax and Maca combines the power of maca with the comprehensive nutrition of the hemp seed – delivering powerful results in terms of achieving hormonal balance, aiding digestive health, managing weight, and increasing energy. Certifiedo organic hemp protein, certified organic sprouted dehydrated flax, certified organic maca.